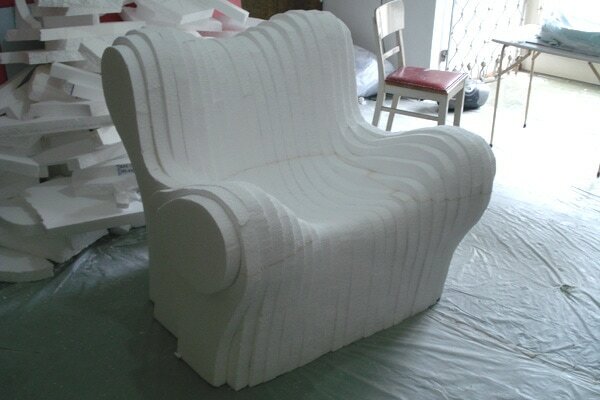 Finished prototype covered with resin, the "Fauteuil I"
The final design: "Fauteuil II"
The main purpose of Philipp Aduatz‘ Fauteuil I is to function as a prototype for a smaller complement to the Dormeuse. 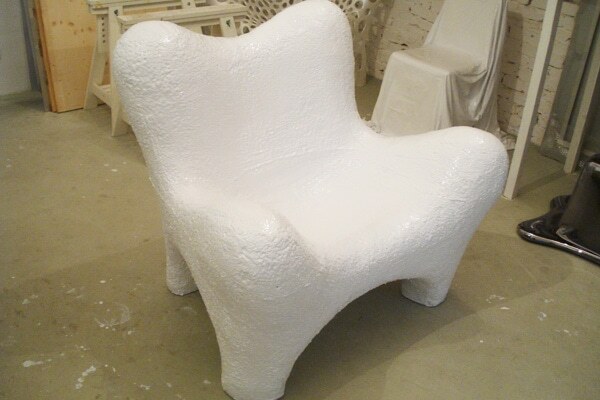 It has an armchair-like appearance, perfect for resting and comfortable reclining.The pieces are made from polystyrene foam and coated with glue and a special polyurethane lacquer to make the objects durable and usable, the edition consists of five pieces where each piece is -due to the handwork- unique. 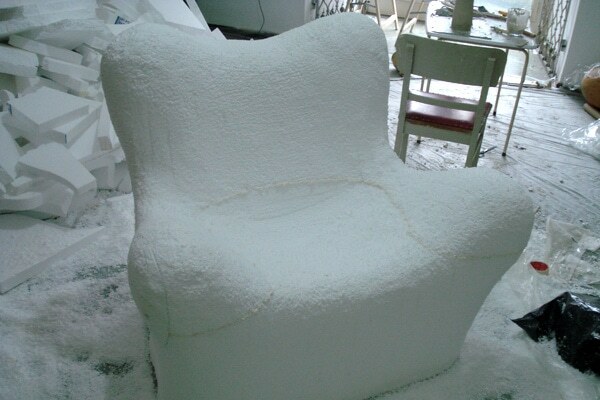 The Fauteuil II is a complement to Aduatz´ diploma project in 2007, the Dormeuse. The object combines a sculptural and opulent shape with a load bearing system of cell-like appearance in a usable object that is inspired by the classical armchair. 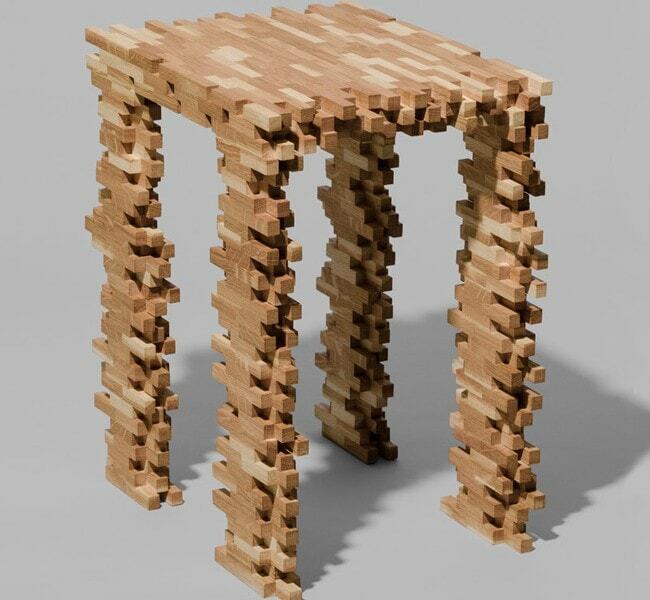 Natural structures, such as bones, are ingeniously optimized load bearing systems which have a low density at a maximum load capacity. In several visits to the museum of natural history in Vienna he studied the structure of fossils and ancient animal skeletons. 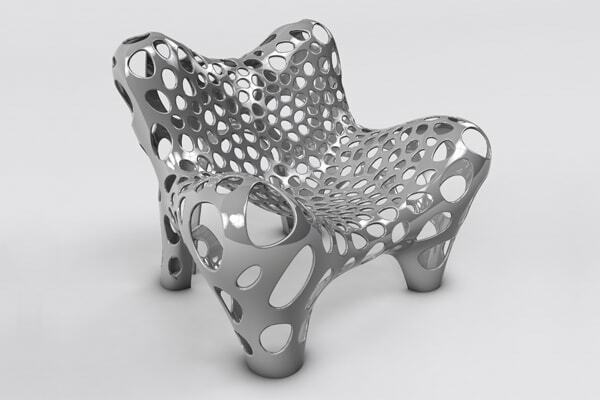 This led Aduatz to design the intricate network of cell-like pockets and connecting filaments that make up the Fauteuil II. 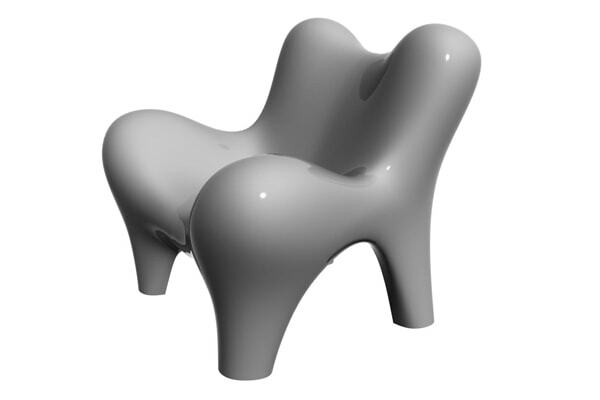 Another important influence in Aduatz’ design was the work of the sculptor Anthony Cragg, who in his early work, created sculptures with natural looking cell-like structures. From him Aduatz got the inspiration to turn to nature in a sculptural approach for the load bearing system of his planned object. 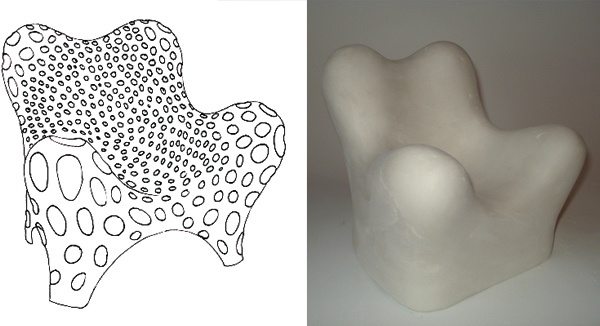 The design process started with a scaled-down clay model, which was digitized with a 3D scanner afterwards. 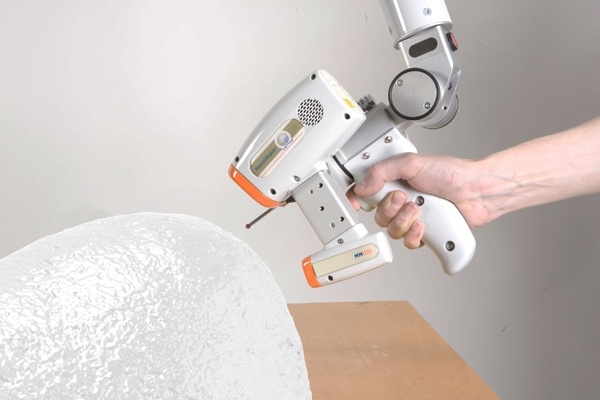 This information was used to create the first life-size layer model out of polystyrene foam. 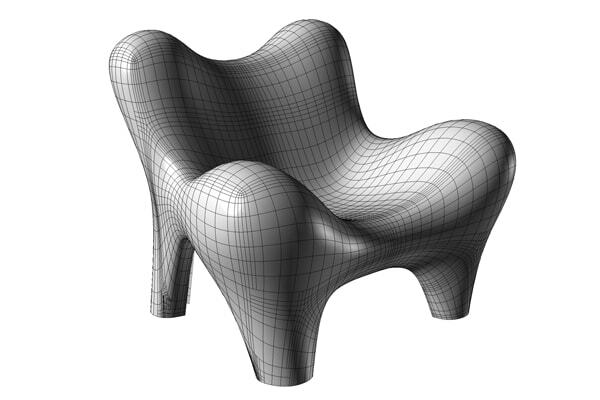 This 1:1 model was sculpted manually until it reached the desired shape. 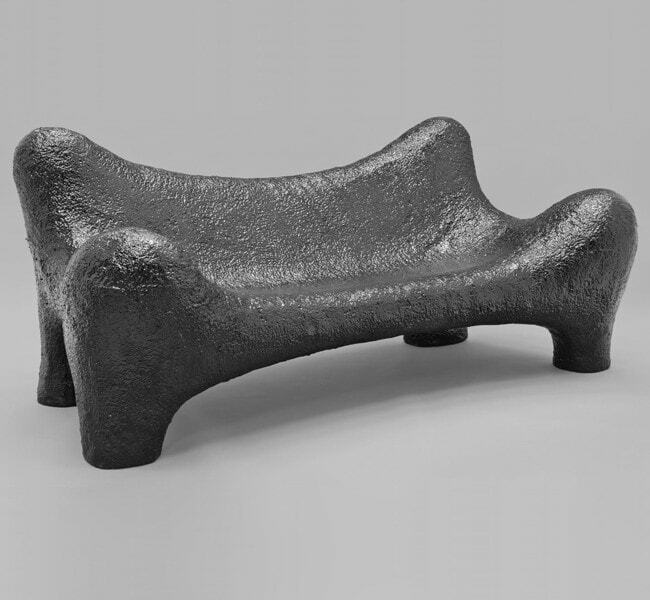 Because this first model was part of the process, Aduatz´ decided to launch a separate edition of five pieces of this object covered with glue and lacquer, the Fauteuil I. 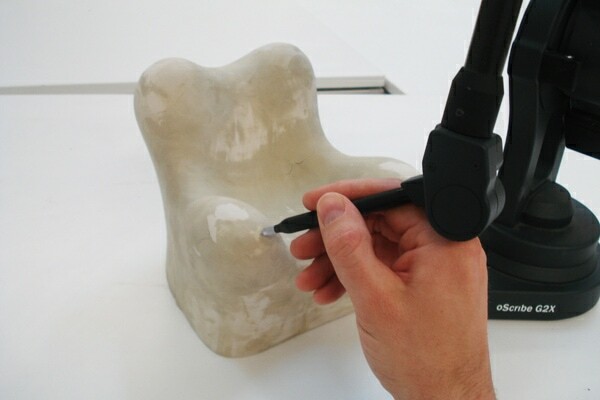 For the production of the series pieces the prototype was again digitized with a 3D scanner and the structure was shaped on the computer. 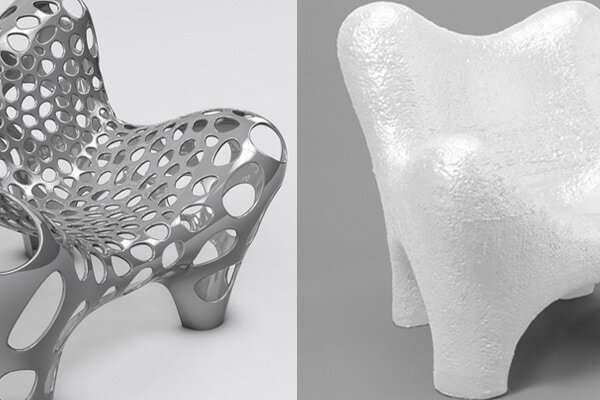 As the material for the final object a fiberglass reinforced polymer was selected. 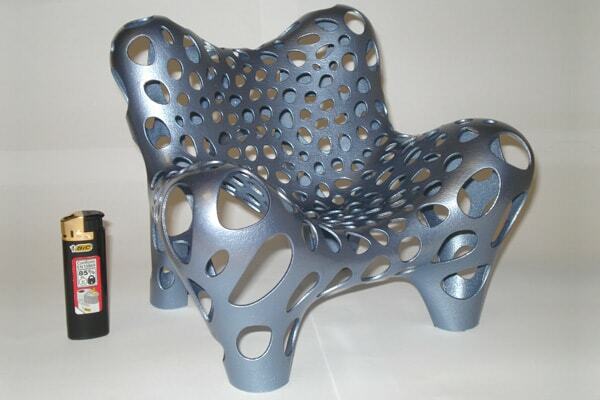 This material pushes the load capacity of the object to the limit and gives the object a maximum stiffness at a very low weight.